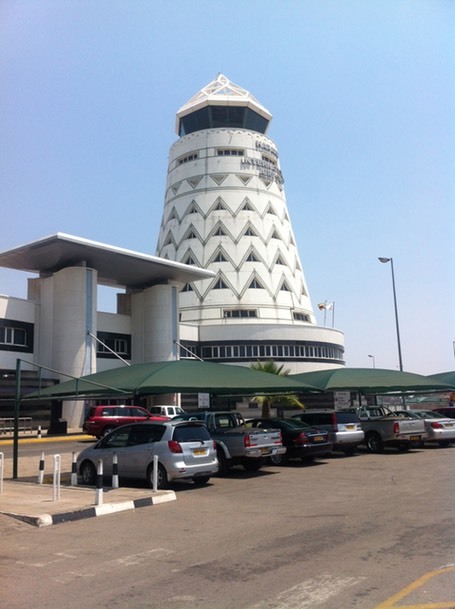 I was fortunate to visit Zimbabwe for work in September 2013, arriving into Harare from Johannesburg. 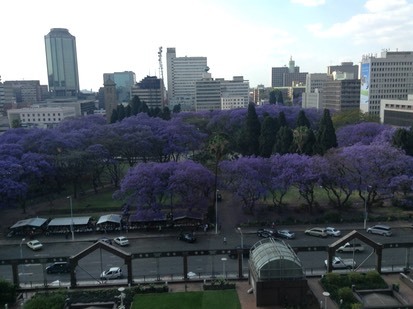 Staying at the very grand Hotel Meikles opposite Africa Unity Park, beautifully in flower with Jacaranda trees. I'm not sure what I actually expected but Harare is a neat town, well laid out, with a surprising amount of traffic. The stall holders in the park specialised in impressive arrangements of flowers. The visit was all too short and pretty soon we were heading back to the airport with is Dalek inspired control tower.